Apple is reportedly partnering with Goldman Sachs to launch an Apple Pay-branded credit card by early next year. The move hints at the Cupertino firm’s ambitions in the financial industry, and it would also mark the first time that Goldman Sachs ventured into credit cards, the Wall Street Journal reported on Thursday. The card could debut as early as the first half of 2019. It’s worth noting that Apple already offers a credit card: the Apple Rewards Visa, launched in partnership with Barclays. That card has perks like interest-free financing on Apple products, as well as reward points that consumers can earn and use toward Apple gift cards. The Journal notes that, as part of the new endeavor with Goldman Sachs, the Apple Pay card would replace the Barclaycard. Of course, the investment bank would also replace Barclays as Apple’s creditor. The tech giant and the investment bank are also looking into other services and perks for customers, including Goldman Sachs potentially offering in-store loans for those purchasing new Apple devices. Though sources familiar with the matter told the WSJthat the two firms are still “hashing out the terms and benefits” of the card. It’s not clear what form the credit card will take, but it sounds like physical plastic. It’s possible that Apple could make the card a Wallet exclusive, however. The credit card is presumably part of Apple’s broader push to bolster its Services business, which is quickly becoming one of the company’s main avenues of growth. Some analysts think Services could overtake the iPhone as Apple’s primary driver of growth within the next five years. Apple Pay is a part of the firm’s Services sphere. Apple Pay was first launched in the latter half of 2014, letting users add third-party cards to the Wallet app for online and in-store contactless payment. While the first-party payment platform is being adopted by more and more retailers, there are some notable holdouts — such as Target and Walmart, who both have opted to field their own payment platforms. 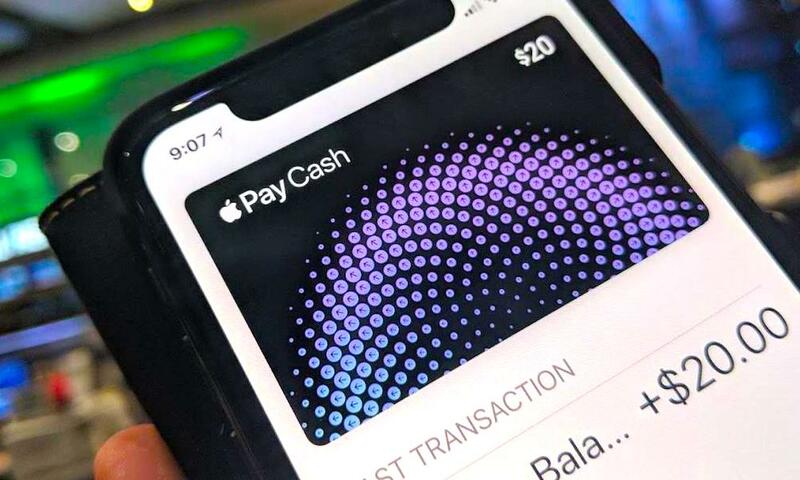 The Cupertino tech giant also launched an Apple Pay Cash feature late last year, a platform that’s obviously meant to compete with money-transfer services like PayPal, Venmo and Cash. Still, Apple Pay is largely an untapped market for Apple. A Loup Ventures report from earlier this year estimated that only 16 percent of Apple users have activated the feature. Loup Ventures’ researchers forecasted wider spread adoption in the next 3 to 5 years. Presumably, a credit card with specific Apple Pay branding could help the company solidify its financial offerings and bring awareness to its payment platform.